Ever since Disney acquired Lucasfilm two years ago for $4.05 billion, the company has bombarded consumers with Star Wars games, apps, and television tie-ins. And they’re just getting started. 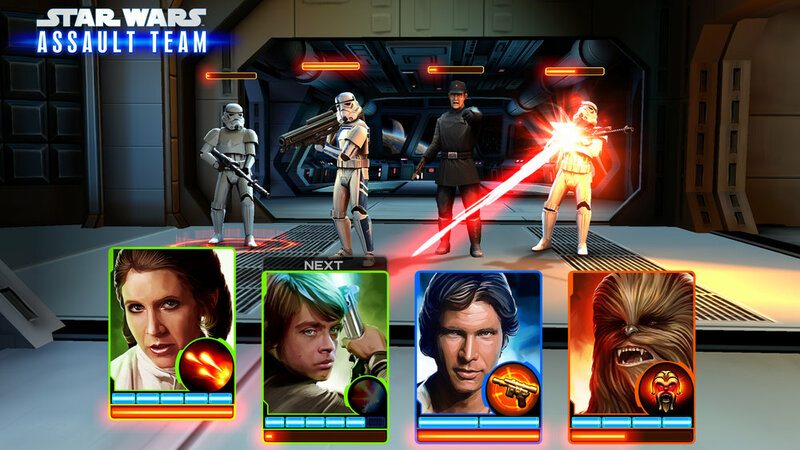 Disney Interactive, in partnership with LucasArts, announced the launch in unnamed markets of Star Wars: Assault Team, a new turn-based strategy game for Android, iOS, and Windows 8 devices. The fighting is card-based, similar to Scrolls or Hearthstone. You collect classic characters as you progress through “graphically enhanced” planets and locations from the original film trilogy, and presumably shell out an obscene amount of money for additional cards. Very few details about Star Wars: Assault Team are available at the moment, but the title will almost assuredly be free-to-play when it launches globally this spring.